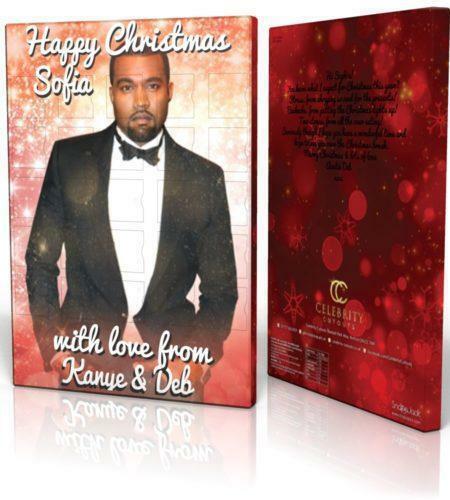 Customise our chocolate personalised celebrity advent calendars with your own name & Christmas message. Scroll down to create a gift that will sparkle a little Christmas magic on your loved one. You must take personal responsibility to ensure you are satisfied with your order before processing it as we cannot accept responsibility for any mistakes out of our control. An additional cost will apply for reprints. Advent Calendars have always been a popular and fun way to count down to the big day! This year why not get the anticipation building with a personalised Ariana Grande Gold celebrity advent calendar? Personalised Ariana Grande Gold Chocolate Advent Calendar – New Design for 2016! Count down the days to Christmas with Ariana Grande Gold calendar. 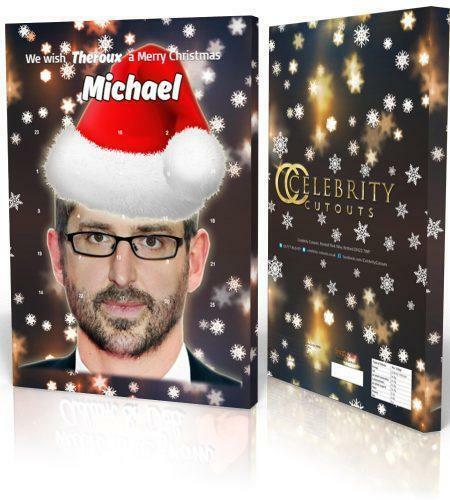 The perfect surprise gift for devoted fans, or treat yourself! This Ariana Grande Gold 2015 personalised advent calendar is made using our exclusive design – you won’t find it anywhere else. We make all our calendars here in the UK using the very best print techniques and highest quality materials. Combine this with a delicious continental milk chocolate coin behind each door and you can guarantee a smile for every day of the Christmas Countdown. New for 2016 – now available Ariana Grande Gold personalised Advent Calendar. We can send your calendar to anywhere in the world. A small additional import tax may be payable in some countries by the purchaser. To personalise your advent calendar with a name of your choice, all you need to do is fill in the fields below with the name of the calendar recipient and add a message to the back. 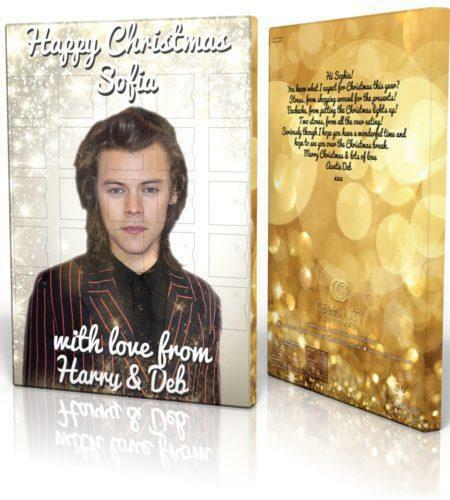 We will print it on the front of the calendar along with a Christmas Greeting from Harry Styles. Delicious Chocolate behind Each Door our advent calendars come with a top-quality, foil-wrapped continental chocolate behind each door – yum! 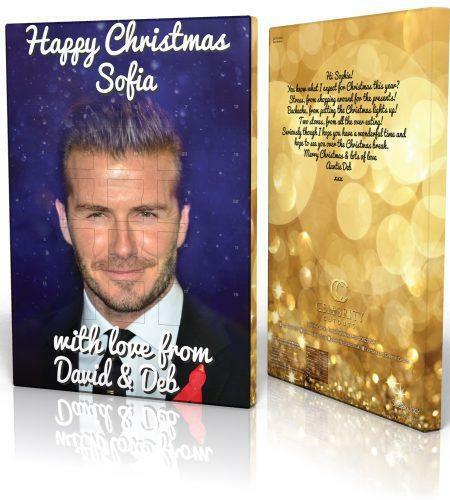 Personalise with a name of your choice – a perfect Christmas gift for fans of all ages! Exclusive Design – Photo taken by a Top London Agency and adapted by our in-house designers. You won’t find this advent calendar anywhere else. Product Dimensions: 350mm x 240mm x 15mm. Professional, high-definition print quality – comes with a tab on the back for easy hanging. Produced by UK company on our own premises – each Advent Calendar is made to order so will always be in stock. Dedicated Customer Service team – no outsourcing means we always keep you in the loop and offer telephone support.